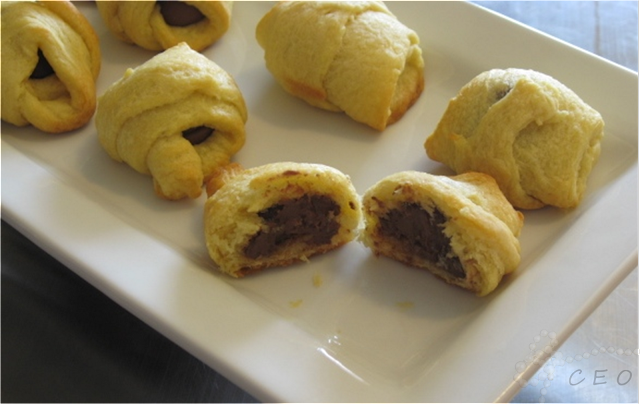 Who doesn't LOVE chocolate pastries? 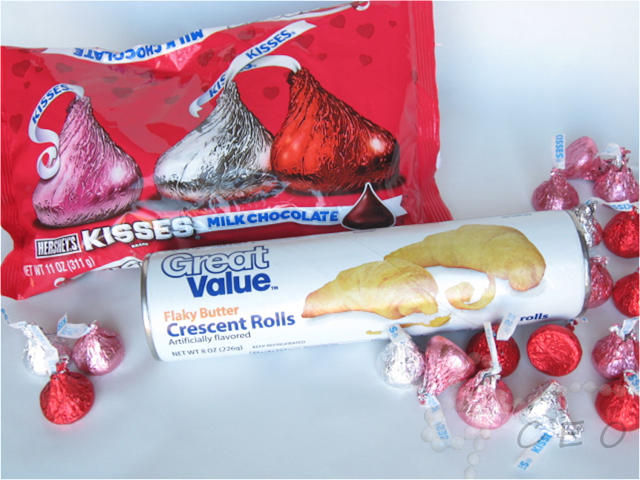 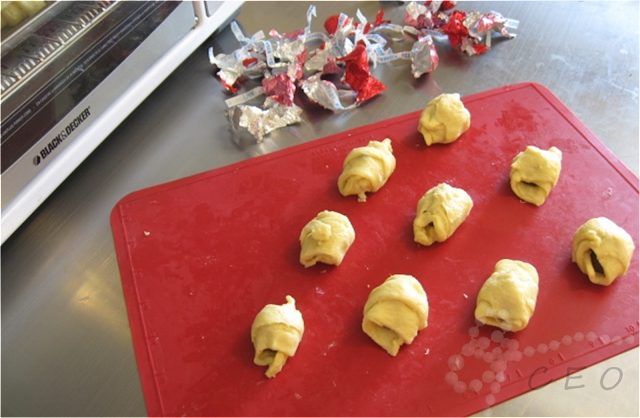 In celebration of the "Week of Hershey Kisses", I was on a hunt for an easy to make chocolate pastry of my own when I decided to combine two awesome things (I bet you can guess at least ONE of the pieces...) Hershey Kisses and Crescent Rolls! Second, cut crescent rolls in half. Third, roll up hershey kiss in dough. 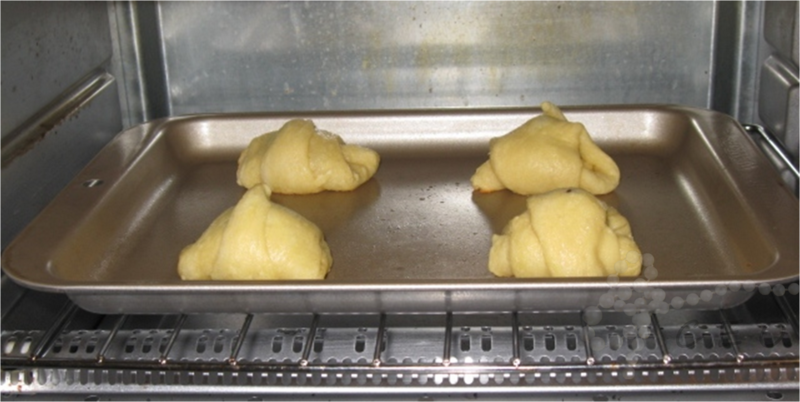 Fifth, take out of the oven and let cool a few minutes. 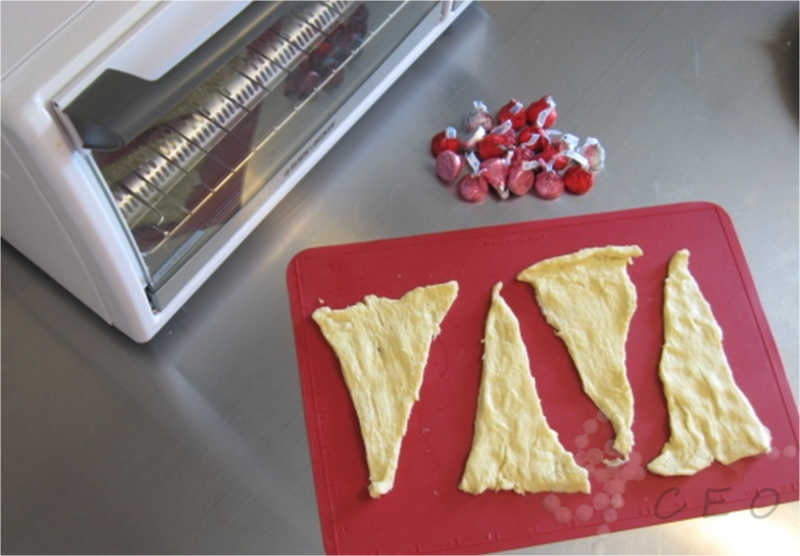 Sixth, EAT! 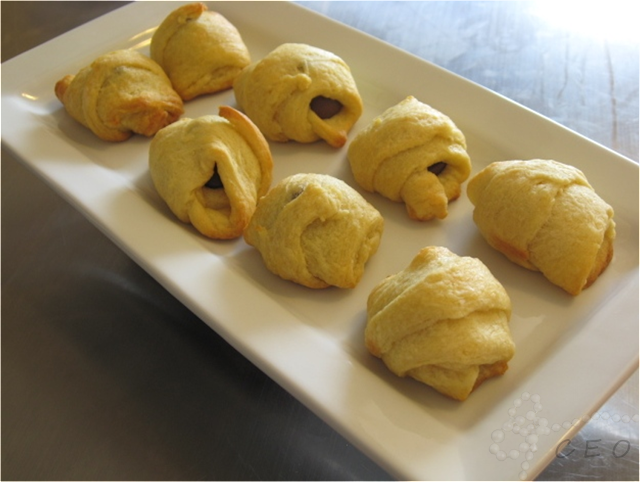 I suggest eating these pastries as soon as possible to fully enjoy the yummy warm roll as well as a melted hershey kiss! 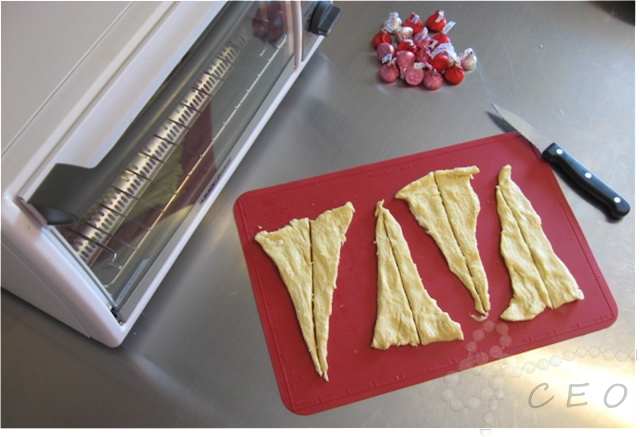 You COULD skip cutting the crescent rolls in half and just double up on the Hershey Kisses!! Wow, would never have thought of this idea, looks very yummy!